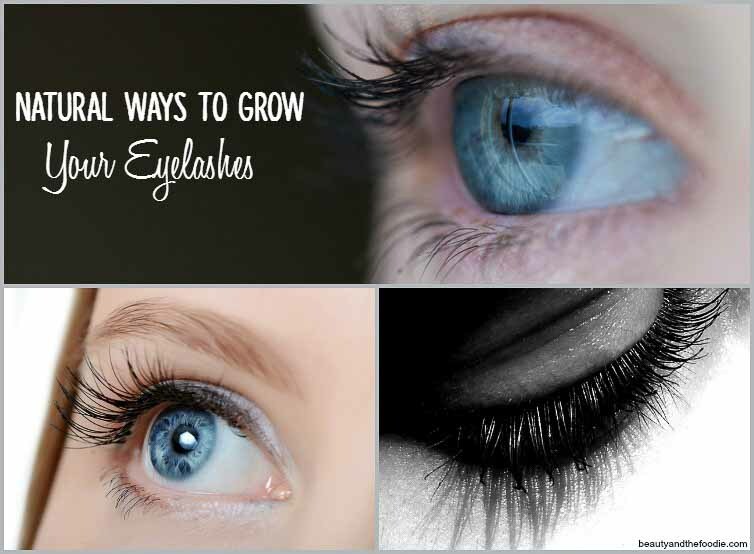 Natural Ways to Grow Your Eyelashes without chemicals, glue or extensions. Castor oil can be applied from the roots of eyelashes to their end. It is not only used for increasing the length of eyelashes but also for growing of hair and eyebrows too. Castor oil contains beneficial antibacterial and anti-inflammatory properties that are a combination of a rich source of nutrients acquired from good dieting, and it aids in promoting hair growth. When applying castor oil, one should use a natural and hydrocarbon free brand of castor oil, like this one. The face should also be washed well and free of make ups and beauty products. One only needs a few drops of castor oil to apply on the lashes of each eye. This application should be applied several times a week. Lavender essential oil has many of benefits when used as a natural eyelash booster. It helps get rid of harmful and unpaired electrons that are highly reactive, and research also shows that it helps increase the growth of hair significantly. Tests on patients suffering from hair loss, who use lavender oil as treatment have shown that 44% of the tested patients experienced a major increase in growth of hair. The effect of lavender can be enhanced by mixing it with coconut oil that is a perfect carrier oil. This is because it’s rich in nutrients, has a soothing effect and also, it is antibacterial and antimicrobial. One can mix the coconut oil and a couple drops lavender oil together and use fingers or a cotton swab to apply it to the eyelashes, roots down to the end of eyelashes. Massaging the eyelids area and near the lashes is also a very natural way of increasing your eyelash growth. The message along the eyelashes helps increase blood flow and circulation which in turn encourages the lashes to grow. This is not a very new technique as it is used to grow hair by massaging the scalp. One should use their well-washed hands to massage the eyelid area along the lashes gently. This should be preferably done once a day or at least several times a week for great results to be achieved. Eating a healthy diet with all the essential food nutrients and rich in proteins and vitamins helps in improving the growth of eyelashes. Fish, eggs and yoghurt are some of the good foods one can in cooperate in their diet. Protein is also beneficial for stimulating eyelashes growth. Green tea also has beneficial properties that people wishing to grow natural lashes should take advantage of it. The flavonoid, to be more specific, is the main ingredient in green tea that accelerates the growth of eyelashes. You should smear it over your eyelashes before retiring to bed and leave it to dry overnight. The tea will stimulate the growth of the eyelashes and help clean the follicles thus allowing growth to occur naturally. 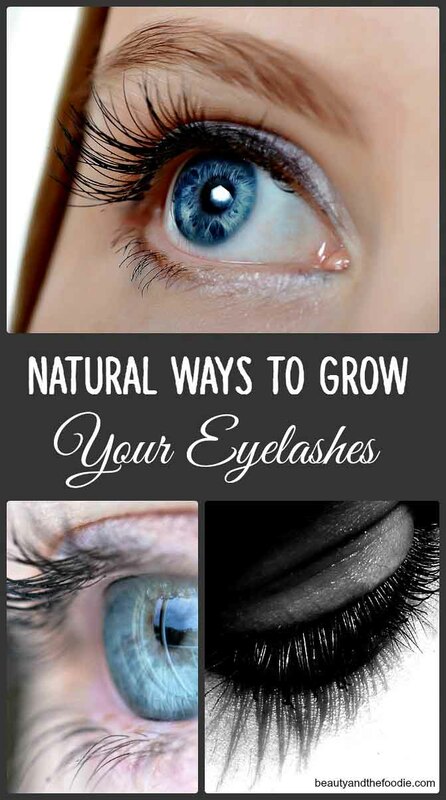 There are other ways for naturally growing the eyelashes apart from what I have explained above. They include the use of petroleum jelly, or smearing green tea oil on the lashes and smooth brushing off the eyelashes. However, most of the methods I use are inexpensive and better in the long run because they have been proven to actually enhance the growth of the eyelashes. Artificial eyelashes enhancer may also be hazardous due to toxic glues, in fake eyelashes and excess chemical accumulation. Therefore, natural methods can make one look naturally beautiful by enhancing one’s own naturally growing eyelashes. Watch- 3 Wonderful Tips for Long and Luscious Eyelashes You Should Know. Meighan Sembrano is an author at Consumer Health Digest. She has a keen interest in writing. She has contributed many beauty related articles in many popular websites. She has done her Mass Communication degree. She now lives in Washington DC. She is a social worker who spends her free time searching about life, health, beauty, world news and lifestyles fitness related articles. She is fond of travelling and trekking. 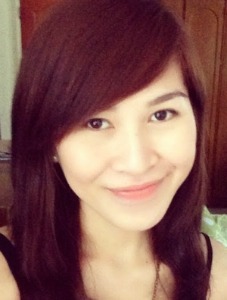 To know more about her, follow her on Facebook and Twitter.